Police arrest members of the far right group the English Defence League (EDL) who have broken through cordon line into an opposing Unite Against Fascism (UAF) demo, during violent clashes in Manchester's city centre. 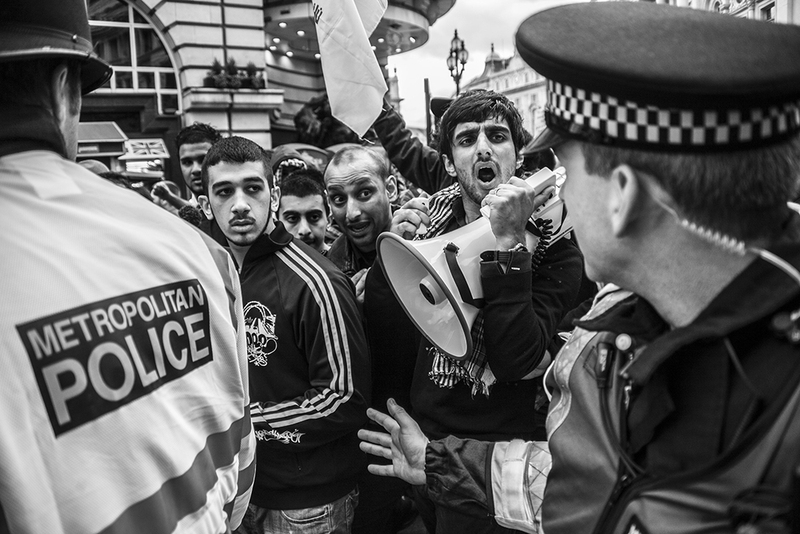 Members of the the EDL and Casuals United ( a Far right protest group made up predominantly of football hooligans) stage a counter demonstration to an Al Quds Day (pro-Palestine) march in London's Picadilly Circus. An EDL pamphlet is discarded in the road during a violent protest in Nottingham city centre. Muslims gather for prayer inside Harrow's old mosque during anti-Islam protests by the EDL, Casuals United and SIOE. Member of the EDL is held by a riot cop after he breaks through a police cordon into a counter EDL protest held by the UAF. An EDL supporter loses his cool after police remove him from the main body of protesters during a demonstration in Nottingham. A member of the EDL is escorted away by police from a protest in Manchester. 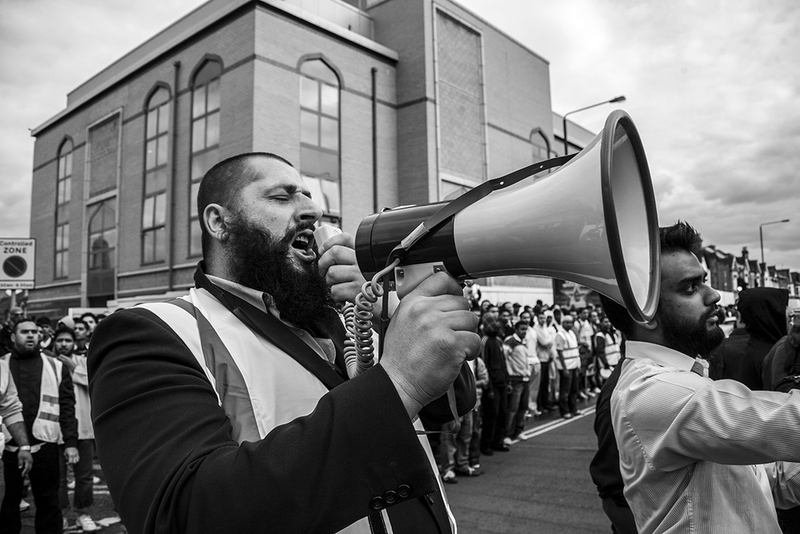 UAF steward appeals to gathered UAF supporters to be remain calm and organised after word spreads that SIOE members have arrived in the vicinity of Harrow Mosque. An Asian youth flees from police after assaulting a young man who they suspect of being part of the anti-Islam protest group SIOE. Suspected members of Casuals United and SIOE (Stop Islamisation of Europe) are held by police near Harrow Mosque. 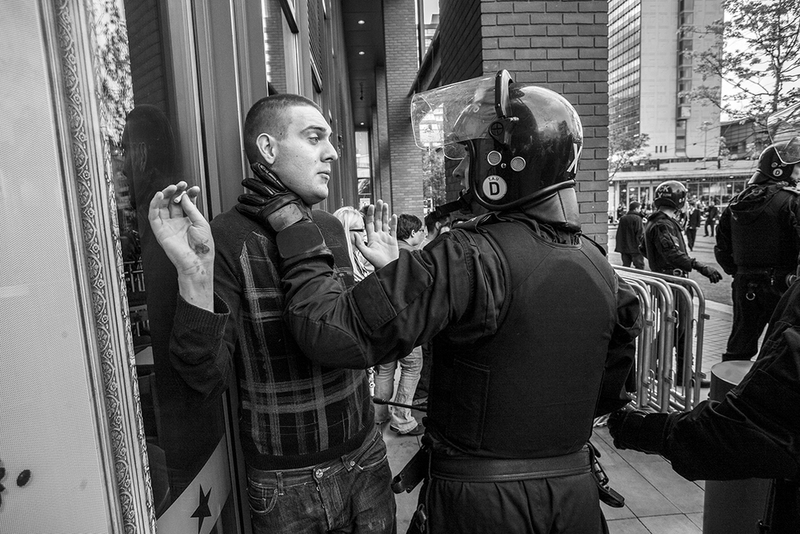 An EDL member is arrested by police during a demo in Nottingham. Police get in to position to usher EDL supporters away from Nottingham city centre.